Original SWAT Footwear. These are very well made boots and shoes. We have sold a lot of these to officers working the road in patrol, on SWAT Teams, Fire Departments and hunters. 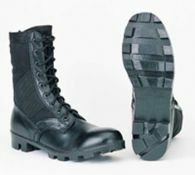 If you are looking for a comfortable pair of boots at an affordable price, try these! Assorted manufacture's, style, colors, uses.